Merry Christmas from the Grinch! Merry Christmas! I hope you have a safe and festive holiday! This entry was posted in Quotations and tagged Christmas, Dr. Seuss, photos, quotation. I know I’ve shared this photo, but it fits the quotation perfectly. 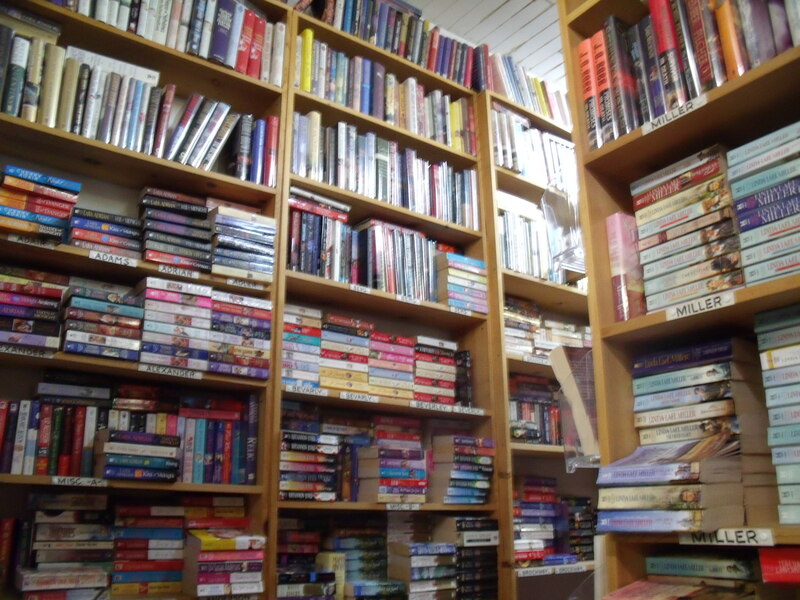 This entry was posted in Photos, Quotations and tagged bookcase, books, Dr. Seuss, photos, quotation, Seuss. In honor of Dr. Seuss‘ birthday (March 2nd) is Read Across America Day. Dr. Seuss sparked reading with fun rhymes and good messages. The National Education Association (NEA) marked the calendar this year for March 1st, so schools across the country can participate. Schools, libraries, and other locations plan special activities for this event. So, grab your Dr. Seuss hat and any book to READ, READ, READ! Every day is great day for reading! This entry was posted in Reading Inspirations, Reading Resources, Reading Thoughts and tagged Dr. Seuss, National Education Association, nea, read, Read Across America, reading. This entry was posted in Photos, Quotations and tagged Cascade Mountains, Dr. Seuss, mountains, Mt. 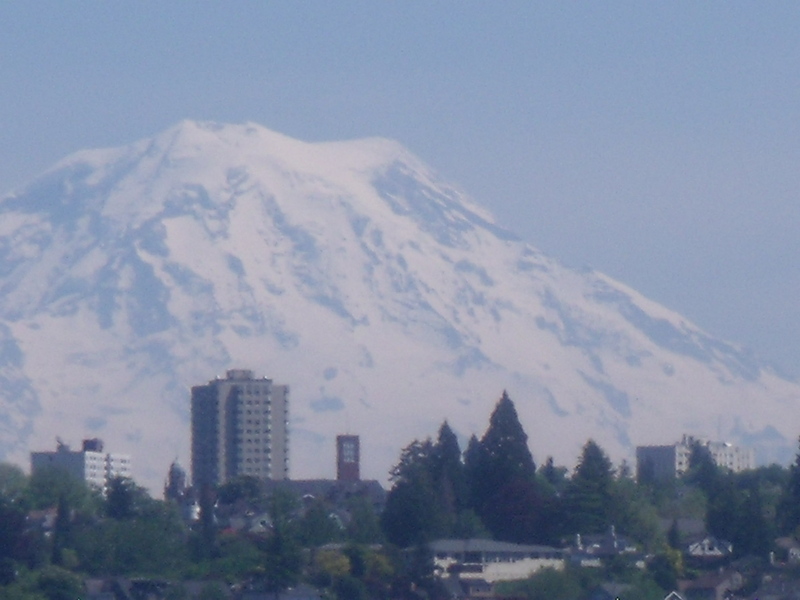 Rainer, photos, quotation, reading, Washington. A Book Review for Dr. Seuss’ Birthday! The Boy on Fairfield Street: How Ted Geisel Grew Up to Become Dr. Seuss chronicles his first twenty-two years that shaped him into a unique author. 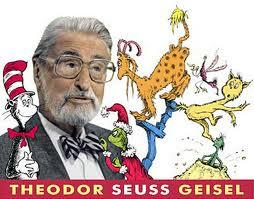 Theodor Seuss Geisel was born on March 2, 1904, in Springfield, Massachusetts. 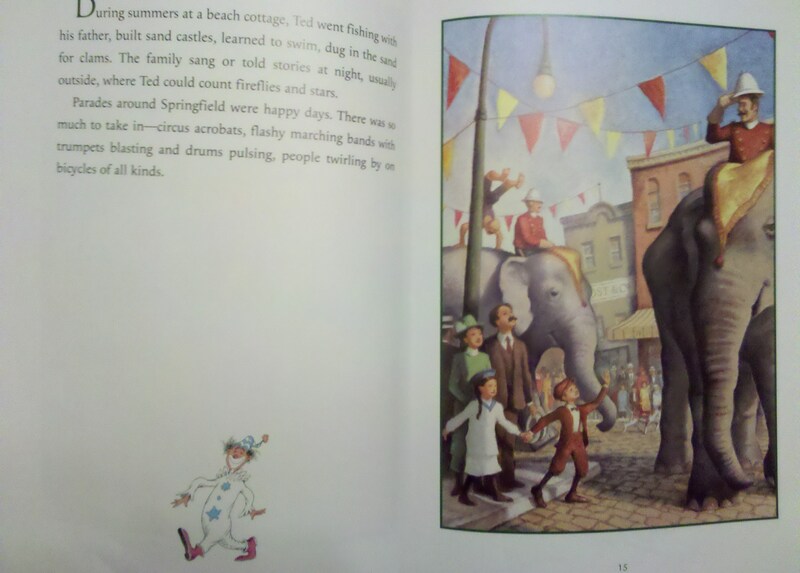 Growing up, Ted loved reading, animals, drawing, and fun neighborhood activities. 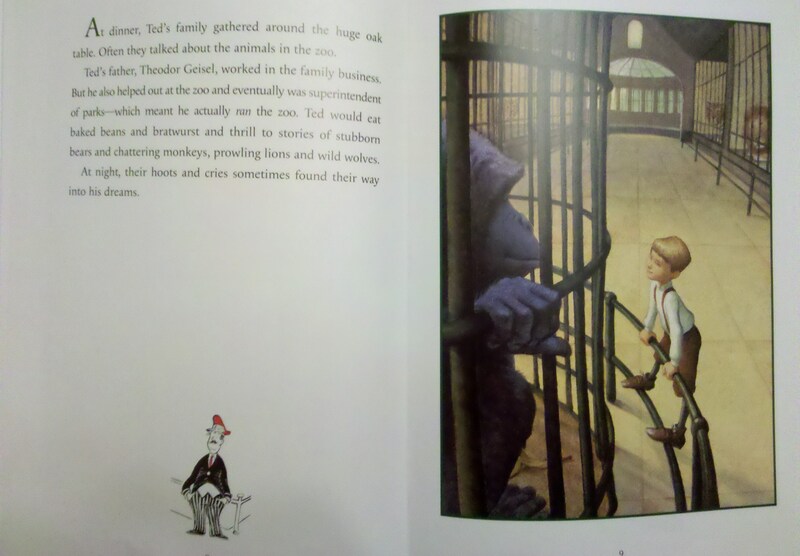 He even had first hand experience in a zoo, since his father became superintendent of parks. 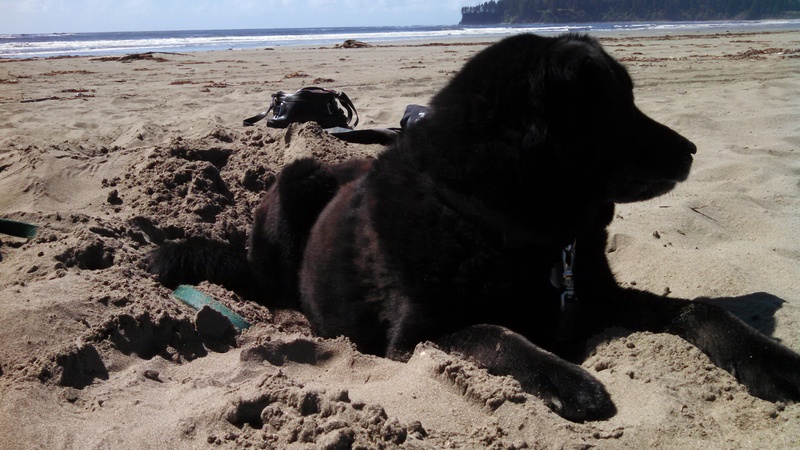 Ted also faced challenges. He was sometimes teased at school for having a German heritage. He often doodled in class and skipped classes in high school to watch movies. Ted attended Dartmouth College and was often known for being silly and nobody thought he could make a career from doodles. He wrote for a college magazine, but he was forced to resign. However, he still wrote for the magazine under the name Seuss, which was his mother’s maiden name and his middle name. After college, he traveled to England where he should have been studying literature at Oxford, instead he met his future wife who admired his drawings. He returned home to Fairfield Street and sent his cartoons and illustrations to New York magazines. Finally, he received an acceptance letter from The Saturday Evening Post. Soon more magazines desired Ted’s cartoons. He signed his work Dr. Theophrastus Seuss or Dr. Seuss, because he liked the sound of doctor and he wanted to save “Ted Geisel” for when he wrote his great success in the future. 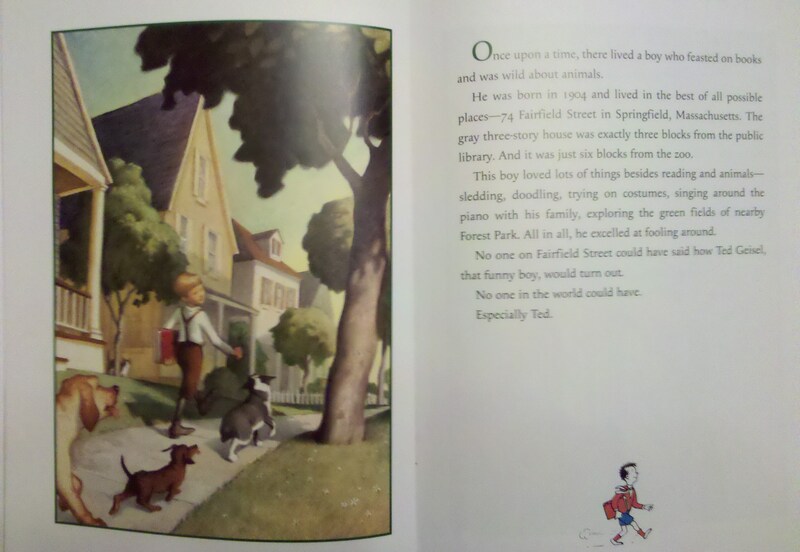 The Boy on Fairfield Street: How Ted Geisel Grew Up to Become Dr. Seuss provides additional information about Geisel’s life after he left Fairfield Street with background about his books. 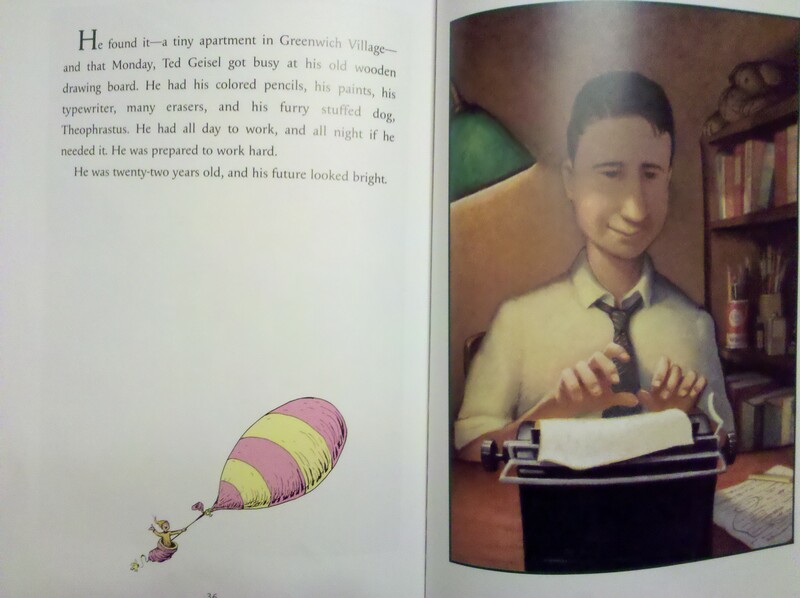 This entry was posted in Ages 6-8, Ages 8-10, Book Review, Children's Book, Picture Book and tagged biography, Book Review, children's book, Dr. Seuss, Kathleen Krull, Lou Fancher, picture book, Steve Johnson, The Boy on Fairfield Street: How Ted Geisel Grew Up to Become Dr. Seuss, Theodor Seuss Geisel. 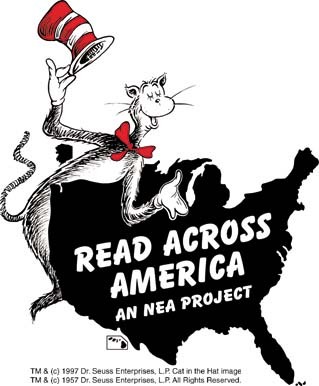 March 2, 2012, is Read Across America Day. Every day is a wonderful day for reading, but this is a whole day dedicated to celebrate reading. The National Education Association wanted to get children excited about reading, so they picked the birthday of beloved children’s author, Dr. Seuss. Across America, you’ll discover individuals at schools, libraries, hospitals, bookstores, community centers, and homes celebrating the love of reading. Many schools even have all day reading events! So, grab your favorite Dr. Seuss book or any book and make a memorable day reading with any child young or old! Get out there & READ! I previously posted this video, but I love how you really can go anywhere when you read! This entry was posted in Reading Resources, Video and tagged Dr. Seuss, education, literacy.gov, National Education Association, Read Across America Day, reading, The Lorax, Theodor Geisel, video, www.read.gov.